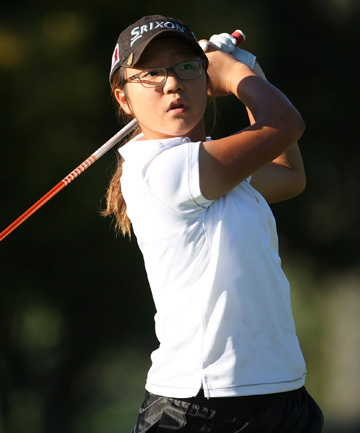 SYDNEY — Fourteen-year-old New Zealand amateur Lydia Ko has become the youngest winner of a professional golf tour event, taking the women’s New South Wales Open by four strokes Sunday. Ko, the world’s top amateur, broke Japanese star Ryo Ishikawa’s mark of 15 years, 8 months, and Australian Amy Yang’s women’s record of 16 years, 192 days in the Australian Ladies Masters. Britain’s Laura Davies closed with a 71 and a 54-hole total of 216, 14 strokes behind. I won’t pronounce Ko another up and comer. There is a line forming of top Korean or Asian amateur players who have burned out or are in the process of burning out as professionals. Angela Park, Virada Nirapattpongporn, Sukjin Lee-Wuesthoff, to name a few. Maybe Ko won’t be like them but at this point I’d only be guessing.